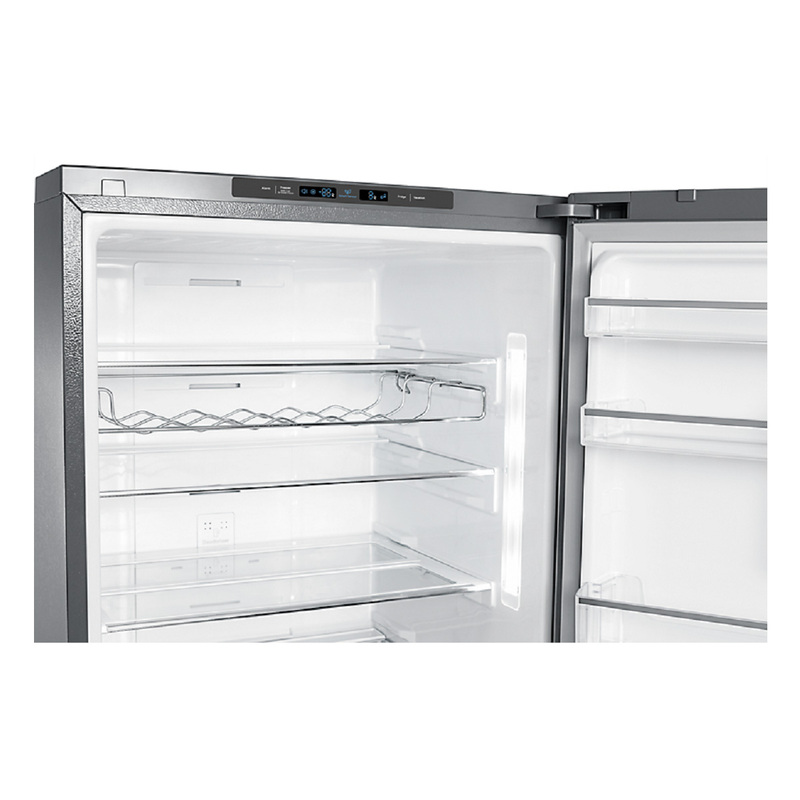 With 458 litres of storage space, the Samsung SRL458ELS fridge is a good choice for growing families. The bottom-mount design is very convenient, as it means you don’t have to stoop down as often to access items such as milk and eggs. And the layered steel exterior will instantly give your kitchen a touch of contemporary style. This refrigerator has a 4-star energy efficiency rating, being the most energy efficient option and a smarter choice for you. Got it a month ago. Build, temperature control, capacity are OK but it's extremely noisy. Very happy with my purchase. Love the clean lines, inside and out, as well as the wine rack. I purchased my Samsung fridge almost a month ago and love it. It looks great, chills perfectly and has plenty of space. I love that the shelves in the door are deep and sturdy, and larger items can be placed in. For example a 2 litre bottle of milk fits well in the door shelf and doesn't feel like it will break the shelf. Easiest way we've ever bought a major appliance! Our 23-year old GE fridge gave indication of impending doom on a Friday leading up to Christmas. We checked our nearest retailer and it was going to entail delay, delivery cost and extra cost to take away the old fridge. So then we found Appliances Online! We chose a Samsung SRL458ELSbottom mount, mainly for the reason that its 70cm width would fit through a standard door and whilst smaller than our old side-by-side GE, seemed an adequate replacement. Appliances Online guaranteed free delivery on the upcoming Tuesday, including installation and taking away our old fridge. That's exactly what happened. They arrived, rolled the new fridge in, set it and took away our old appliance. Couldn't be happier. And we are happy with the Samsung SRL458. Super quiet, well-designed and excellent temperature controls. This fridge section is huge on this fridge. The freezer is difficult to access compared with my last fridge, but overall itâ€™s a great item. This fridge is an excellent design. It's incredibly spacious inside, and the wine rack is a massive bonus. I love the retractable shelf and the huge veggie crisper is great. The freezer is a good size, and draws are SO much more practical than non draw freezers. I would highly recommend this fridge. It's also sleek and stylish and very quiet. Had been searching for a fridge for over 10 months but kept getting so confused in the big stores that I'd just walk out. So I tried researching online for the features I wanted & found AOL perfect for this as it was so easy to compare all the features & prices in one place. I settled on the Samsung Bottom Mount & its proved to be the perfect choice. So quiet I have to touch it to feel the slight buzz of the motor. 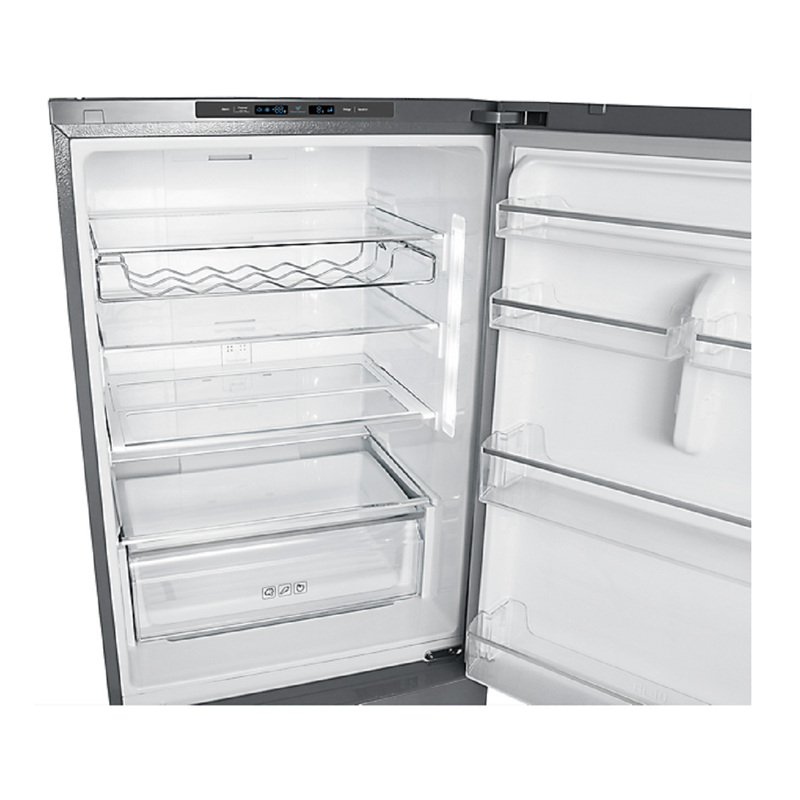 The ease of access & clever storage in the high fridge compartment, with the big, free-sliding drawers in the freezer section are great. Just one negative is the bottom freezer drawer only pulls out halfway, so access can be a bit tight for larger items. Overall though, totally loving my new fridge. Wanted a Fisher & Paykel but measurements did not fit - but extremely happy with the Samsung! We downsized from our previous 500L fridge when we picked the Samsung, but I think this one stores more with better door storage compartments and a big wine rack. Itâ€™s quiet, looks great, we are really pleased with our purchase. We have become boring adults who talk about how great our new fridge is. Bought this fridge a few weeks ago. It looks nice, has a good layout inside and does what it should do. However, at times it is very noisy which is a disappointment. The internal lighting could also be much better. Great value - a large fridge for a cheaper price! * The motor is so quiet we sometimes wonder if it is even on. * The door alarm is a nice and quiet gentle beep. * Delivery guys were amazing as always - it's the main reason we choose Appliances Online. Excellent fridge, absolutely love it! Iâ€™ve had my new fridge about a month now and cannot fault it. Itâ€™s everything I hoped for, very spacious, keeps veg and fruit fresh, looks stylish and is very convenient in every an. Totally recommend it. We got this fridge one month ago and I must to say that I'm impress by the quality. It looks stunning, having the freezer at the bottom is the best. 458L makes a good space, it is silent and it cools the drinks really fast. You wont be disappointed if you choose this Fridge! Also Appliances online was the best! It took me 5 minutes and only a phone call to buy the fridge, having the price match and get delivered and installed by the next day, and I've paid to the delivery guys! Iâ€™ve been using mine for almost 2 months now and it definitely lives up to expectations. It keeps the food at a perfect temperature, warns you if the door has been open too long and even comes with a flash freeze setting for the freezer. I've had this fridge for a month. It replaced a very big American brand fridge which I loved, but didn't need as the family is smaller now. I chose this one, thinking it would simply be smaller, and far more economical. I've since found it has great storage capacity, lots of options for storage, and is easy to clean. It's quiet, looks great in the kitchen, doesn't show marks as stainless steel always does, and freezer is so neat to maintain with the three pull out crates for storage. The crates are easy to lift out, as they have handles on the sides. I actually have the fridge set on the lowest temp, and have had no problems keeping food cold enough over summer. It was very cost competitive for its size, and I am impressed by the brand. Having been a bit of a high price brand snob in the past, I find this far cheaper model and brand a very attractive, even better option. I purchased this fridge approximately 1 month ago, itâ€™s a great size for 2 people. Iâ€™m over all happy with it & itâ€™s not noisy like some fridges. Great value for the price also. We have had the fridge for around a month. We needed to buy this size to fit the space in the kitchen. The overall capacity is smaller than I wanted with a family of five (teenage/adult children) but thankfully every litre is usable space. We really like the bottom mounted freezer, it just makes the whole fridge more usable. Overall very happy. This fridge is brilliant. We are all so happy and enjoy using it. Fruit and vegetables stay much fresher and I cannot fault it at all. Plenty of space inside. Looks good. Would recommend. Also love buying via Appliances on-line. No fuss, delivery included. Too easy. 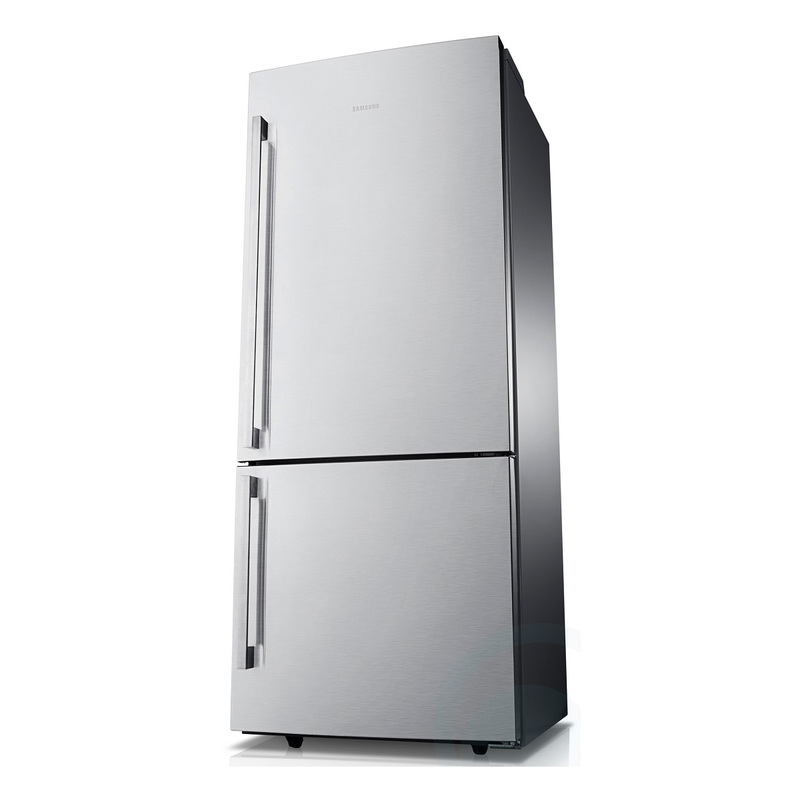 I bought this 1 month ago and was very impressed with the styling and overall performance & function of the fridge. The freezer on the bottom is a great design. All features as promised suit my needs. This fridge was exactly what I was looking for. I am a widow and did not need anything larger.Fitted into my new kitchen at the retirement village where I have just moved into. Looks good. Plenty of space and very functional. Very happy. Big reliable fridge. Has a very clever shelf that can fold of you want bottlers etc to stand up. I love it! Our first one of these failed within 2 weeks (compressor issue), Samsung took 3 weeks to sort out a replacement. The second one is going well, no complaints. It's an amazing fridge but I keep expecting to wake up one morning and find everything thawed again. The fridge was bought a few weeks ago. I still think it has a dent in the top door. The bottom door doesn't open far enough for my liking. I have to be careful to be sure it is fully opened before pulling a drawer out. 2.5 weeks after purchasing the fridge it stopped working due to a suspected compressor failure. These things happen but we've been really unhappy about how Samsung handled things and how long it took for them to organise a replacement. It ended up taking just on 2 weeks to get the credit note from Samsung for the replacement, almost as long as the fridge actually worked for. Appliances Online on the other hand were fantastic, the day they received word from Samsung about replacing it they called, and we had the new fridge delivered the following day. We're also really unhappy about Samsung's compensation process as we lost all of the food in the freezer when it failed but that's another story. It's safe to say I won't be purchasing another Samsung product. Bought this fridge a month ago, and couldn't be happier with the product. It has great design features and is a really high quality product. I love my new fridge which I've now had for a couple of months. It is huge, heaps of space to and bottom for all your food. The retractable shelf is so handy and the fridge is so quiet. I'm so happy that I chose this make and model,the silver finish really does say amazingly clean. I have now had this fridge for over a month and it is just as advertised. My only concern is that the doors both need a good push to close, but that could also be my 1970s apartment not being very level. The main thing that sets Appliances online apart is their amazing delivery guys in metro Melbourne. These guys are an asset to this company. They carried this fridge up 3 flights of stairs without a complaint. Then when unpacking the fridge found that it was damaged (not evident on outside of the box), brought my attention to the issue, then carried it back down the 3 flights of stairs. They then repeated this all again the next day, but with a brand new undamaged fridge. These guys are the reason why I will now order any further appliances from this company. And, they also show up exactly when they say they will. Literally meets all expectations, overall good. Very attractive. Keeps food longer then my old fridge, lots of space! Like the adjustable temperature settings. Shelving is good, though more flexibility in heights would be useful. We've had this fridge for 1 month now, and it fits all our requirements perfectly. We are a family of 3 adults and there is ample space, good sized veggie drawer, nifty ice tray. It was recommended by 'choice' for the dimensions we had, and I can find nothing to fault. I bought this about 6 weeks ago and love it. Its a fantastic fridge with decent freezer space. Heaps of fridge room. Bought this fridge 1 month ago. The cavity height restricted how many fridges were suitable but we could not be happier with this fridge. It's quiet. Digital temperature display is fantastic and the internal layout makes the most out of the space available. Nifty slide away shelf gives flexibility to taller objects. It was a recommendation of the appliances online when we purchased it as the first family fridge since have a two babies. There are plenty of room, simple design and energy saving feature. So far so good. Love the fridge and great service! We bought our Samsung fridge in February and love it. So shiny and pretty, loads of room, so easy to use and keep clean (very important to me) and easy to see what you have in it, so we don't waste as much food. I love having the freezer in the bottom and the wonderful easy to pull out drawers. This could be the best fridge I have ever owned. It's also quiet! The bonus was the wonderful Albanian guys who delivered our fridge: Courteous, friendly, helpful and they did a marvellous job. Please convey my thanks and appreciation. After searching for fridge for awhile, I came across this beauty... My last Samsung fridge lasted 10 years... So Im familiar with the brand... Works like dream.. 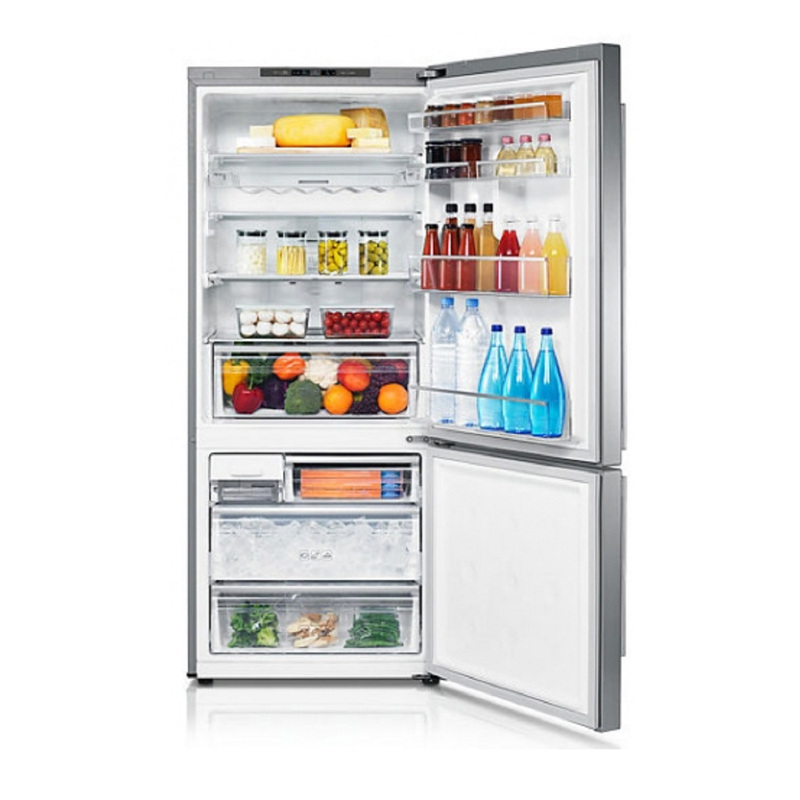 Keeps the financial of fresh and crisp.. Low power consumption and plenty of space inside.. Great buy.. I bought this fridge about a month ago and I thought I'd never say this about a whitegood, but I am in love. For a medium size fridge it is well set out and you can fit plenty in their. In fact it is smaller than my last fridge yet I seem to be able to fit more. Its like a Tardis. Power consumption is very low, its extremely quiet and it lights up inside brilliantly. I would recommend this fridge to everyone. And it's soo easy to see everything in the fridge with the great LED lights! Love the fridge! so great to have the freezer at the bottom! I was looking for a new fridge so I used Appliances Online search engine and narrowed down my options within minutes. There were 131 reviews for this Samsung all 4-5 stars so I went with this model. It's so quiet, modern and makes great use of the space inside. I also love the holiday mode so that my fridge only works as hard as I need it to. I'd recommend it to anyone. I Love it. Looks great. Plenty of Room. Very Happy with my purchase. All good so far. As it is fairly new I haven't had my first electricity bill yet. It looks great! I bought this fridge a month ago and I'm very happy with it. Super neat and well placed shelves etc. Certainly would recommend it to others. Purchasing a new reliable fridge was a fantastic experience. No more overheating foods, sensor alarming 24/7, or dealing with sticking drawers and cracked shelving. The freezer on the bottom saves the back and knees too as most visits involve the general compartment. The delivery guys were efficient cheerful and courteous. I have had my new Samsung fridge for a month now and am very happy with it. I like the way that both freezer and fridge are organised with plenty of room for bottles and containers. Very happy with my purchase. Would recommend this product. I am really happy with my purchase of this fridge. It's more than big enough for 2 people, recently it stored enough pre-made food to feed 10 people for an event. The shelf that retracts gave us enough room to fit tall bottles and jugs. It's very quiet, most of the time I can't tell it's even running. The stainless steel finish doesn't leave any finger prints. Highly recommend! i can't fault it in any way!!! excellent fridge!!! I'm very happy with the roomy fridge, door racks and bottom freezer. Still haven't managed to fill it. Ordered 8pm and get delivered next day remeved my old fridge fantastic and alÄº for free. You can't get better than that. Brought this product December 2016 and find it very quiet good on the electricity and like having the freezer on the bottom just awaiting the promotional cash back offer! This is a well made fridge, the lighting is good and the internal design well thought out. The delivery went well to our country location and the fridge unpacked and started up by the delivery men. Great product, best price, brilliant service and hassle free purchase. I would use Appliances Online again and have told my friends about the company. I've had this fridge for about a month now and love it. It is well set out and provides a lot of space (it seems it provides more space than my previous larger capacity fridge). It is extremely quiet and the lighting is fantastic! In the heat the fridge is holding the temperature very well. My kids love the ice trays also. In summary a great fridge. I bought this fridge just over a month ago and I'm absolutely loving it. Having the freezer on the bottom makes the fridge at a great height for me, looks great and works perfectly. Would definitely recommend it! i bought this fridge after our old one died .I like the bottom mount it suits my purpose perfectly.I have only had a "normal " fridge but this one does the job. Thankyou Appliances Online! The fridge working great, very quiet, good looking and fit into my cabinet recess perfectly! This fridge is so much better than our old 11 yo model. Appliances on line were brilliant (as usual) best price, installed the new and took. Away the old. 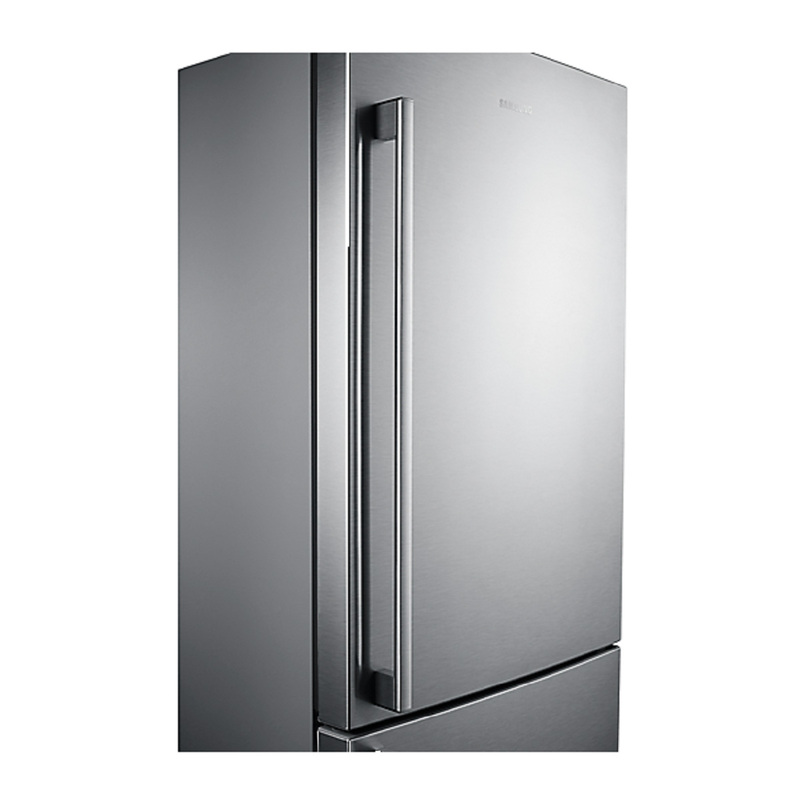 I did my homework and compared this fridge with other more expensive brands and found that this wonderfully ergonomic fridge and freezer is packed with features and will service our family of 4 for many years. I highly recommend this fridge and the absolutely outstanding service and support received from Appliances Online - I would not shop anywhere else for appliances. We've had this fridge for about a month. It was good value, works really well and generally we are pretty happy with it. The wine rack is very useful, but when full it sags and affects what you can store on the shelf underneath. I found the build a bit light and flimsy as it seemed level, but the door squeaked. After fiddling with the front levelling feet (poor instructions) for a while the squeak went away. Also the freezer door needs to be watched carefully to make sure it's closed properly and the drawers are fully pushed in; we couldn't hear any alarm and it defrosted many contents overnight. I guess we're just getting used to its little differences. 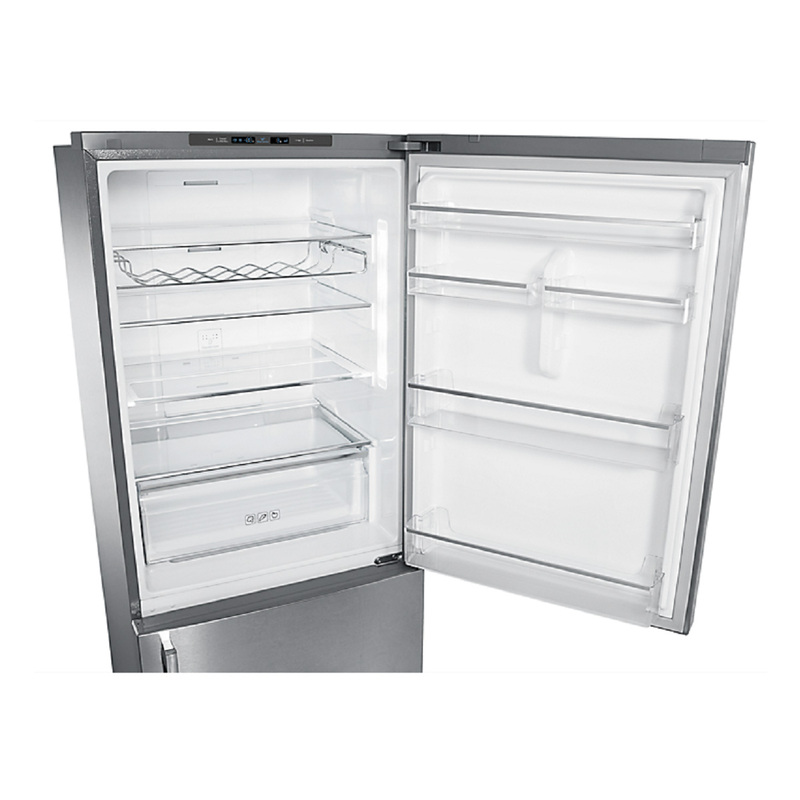 This fridge is perfect for two people but large enough to hold food for family and visitors as well. I love my Samsung fridge.. after living out of an esky, its luxury!!! Good fridge but was delivered with a dent! Appliances online delivered the fridge dented. They offered an $80 damage fee which I refused. How am I going o fix the dent with $80? They went ahead and replaced the fridge. It is a good fridge - very quiet and keeps the temp well. Have not received the $100 bonus from Samsung yet. Hopefully it will arrive soon. I should have bought this fridge earlier...the power bill has decreased significantly! Love having everything at my height. The bottle holders seem to be designed for wine rather than soft drink bottles, which have to be forced in. Overall though we are loving it, including the very nice soft lighting. We purchased this fridge last month. Delivery was prompt and efficient. Sadly the fridge does not maintain 2 degree temperature. We have reduced the fridge temperature to 1 degree but still is not as cold as we would expect. Using the freeze boost helps the fridge when new items are placed in the fridge. We have had this fridge 4 weeks and very happy with its performance and looks. Very quiet and surprisingly spacious inside. We retracted the bottom shelf to fit some taller items in - a great feature. Plenty of room in the door shelves. Easily fits all our stuff in the freezer (we previously had a 160L chest freezer). Still learning how to fit a filled ice tray without spilling water. Our old fridge, an Admiral was 21 years old. Worked perfectly during this time, but loved to chew through the power and you knew when the compressor kicked in. This new one which we have had for 1 month looks just great in it's gleaming stainless steel coat. It is so quiet you would be hard pressed to know it was on. All in all we are impressed with the job it is doing and on checking with a power monitor it is very light indeed on power usage. Almost runs on fresh air. Glad we made this purchase. Absolutely stoked with this fridge. I decided to buy the Samsung after reading positive reviews from other buyers online. It's a great unit and way quieter than I thought it would be. Brilliant looks, very quiet operation and the wine rack is a cracker! Very happy purchaser. Great service from appliances on line too. Delivery in under 24 hours. I bought the fridge a month ago. Delivery was on time and efficient. I am surprised as how quiet this fridge is. Nice and spacious. The vegetables drawer keeps them fresh (fresh mint) for a week. This is a very well designed fridge and is the first bottom mount fridge I have owned. The freeze drawers are spacious and can fit everything in that I need. The fridge shelves and door pockets are exactly right for all items and can be moved for more flexibility. The led lighting is fantastic throwing light in every shelf with a good view of everything and the temperature readout is very convenient to be sure all food is being kept at the right temperature, very happy. I purchased this fridge a month ago after my 40 year fridge died. This is a great fridge quite and plenty of room in both fridge and freezer. 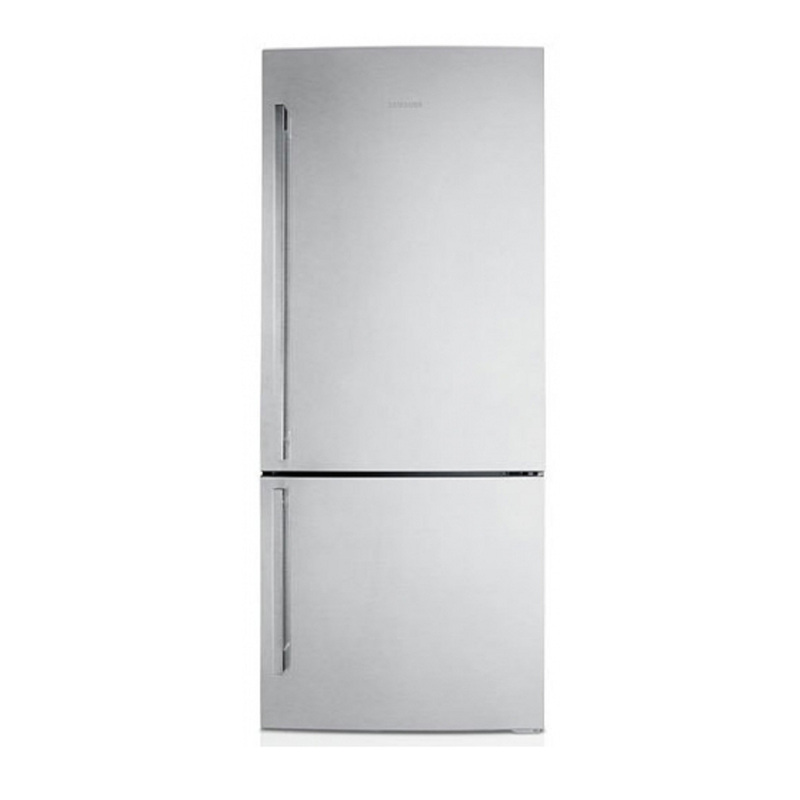 I bought this fridge sight unseen from photos and specs on this website, followed up by a phone call to appliances online who imparted more helpful information to assist me in my selection. 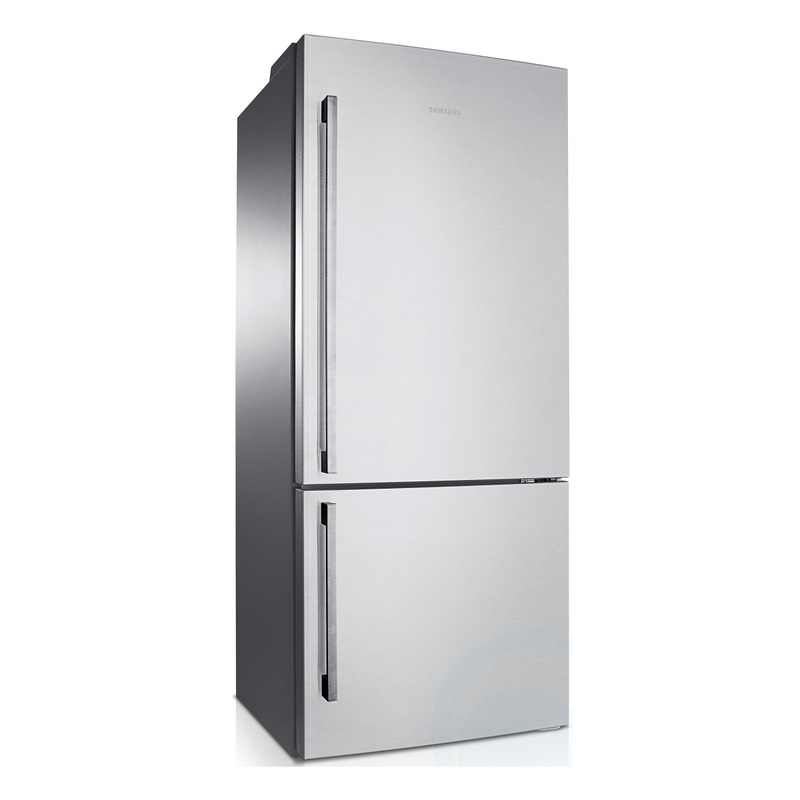 I had read on previous reviews of some comments that the fridge was noisy, which were totally wrong, I can't hear it at all and it was a concern of mine prior to purchase. My fruit and veg kept in the crisper keep longer than in my old fridge. It looks great and is a good size for a family fridge. Price, service and delivery were beyond compare, no competitor could match the price or delivery time. My fridge was delivered to me 20 hrs after ordering it and travelled 150kms to my home. With free delivery and removal and disposal of my old fridge. The Good Guys are 15kms from my home and couldn't deliver for 3 to 10 days, even though they had 4 in stock and they were hundreds of dollars more expensive. I'm over the moon with this fridge. The size is perfect to fit in an average sized spot. It has so much room and a clever and efficient design inside. Full of features and the stainless steel design is stunning. So glad I chose this fridge, it runs so quiet & the vegetable crisper keeps things fresh for so much longer!! Looks great in my kitchen too!! I am very happy with this fridge. It keeps everything icy cold and the produce keeps for much longer than it did in my previous one. 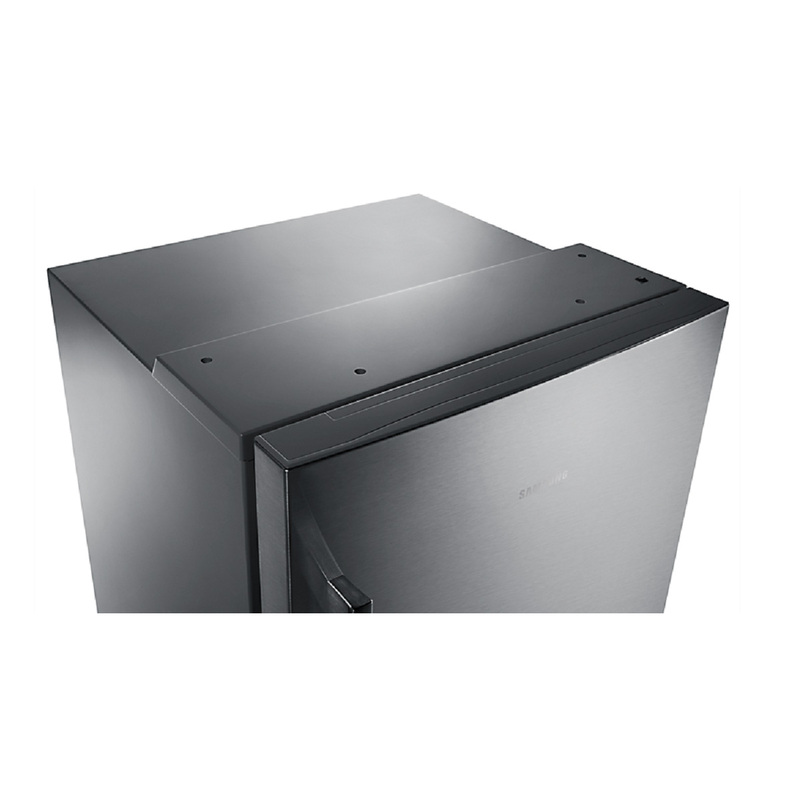 The bottom mount freezer is very practical and the ice maker is a useful addition. The only criticism is that the freezer drawers are a bit 'clunky'. I was limited by the space available, but this Samsung performs well and looks lovely. I chose this fridge because of height restrictions - most others of similar capacity were too tall. Based only on the specs and positive reviews, it was a great choice. Very happy with all respects, especially how quiet it is. Temperature is stable and crisper works particularly well. Highly recommended. Love this fridge. clever interior design makes it very spacious. Also looks great and is very quiet. No regrets with my purchase. Looks great, lovely design, huge improvement on my previous fridge. Highly recommended, great service. We've had the new fridge for about 5 weeks now. We love the look, the room and how quiet the fridge is. This is our second appliance from Appliances online. We will continue to use them for future purchases.